Straightening your hair has never been simpler, now that MaxelNova has come out with the NHS-800 which comes with patented ceramic coating. This device is quite versatile as it serves as a hair curler too.The MaxelNova NHS-2009 has a sleek body which makes it quite trendy. 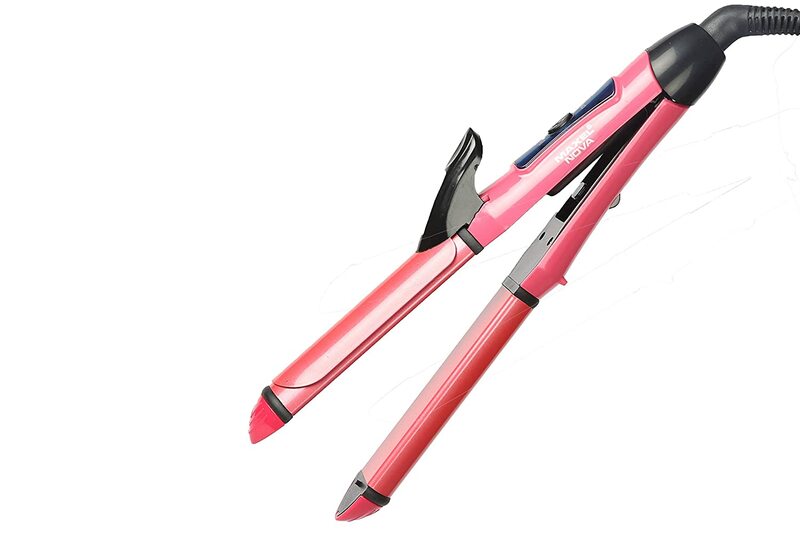 This device comes with a patented teflon-ceramic coating which, combined with tourmaline, allows you to seamlessly straighten your hair. This device also uses patented-floating, ceramic plates which ensure high-quality hair grooming. How to Use - Straightening Step 1: Softly brush your hair out and divide it in sections for easy styling. Using your finger tips, lift the section of hair you want to style and starighten Step 2: Using the MaxelNova Straightener, place your hair between the styling plates. Gently pull the straightener downwards and glide through your hair. Step 3: Repeat the straightening routine to style the rest of your hair. The result is straight and silky smooth hair.